Remember when everybody was impressed with how ripped Bryce Harper is? 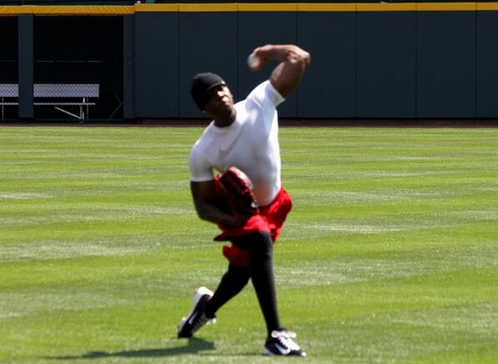 Well, the Nationals outfielder is a wee girly man compared to Aroldis Chapman‘s left arm. Chapman has been recovering from taking a line drive off of the face, resultin in a metal plate being inserted in his head. He should return to the Reds in about a month. After seeing his bicep, we just hope he’s not out for vengeance. The above picture was snapped by blogger Jamie Ramsey, who promises it’s not a photoshop. Are you buying that as Chapman’s real arm? Was he always this ripped? If not, does this mean he’s going to start hitting 105 on the gun? Lots and lots of questions. 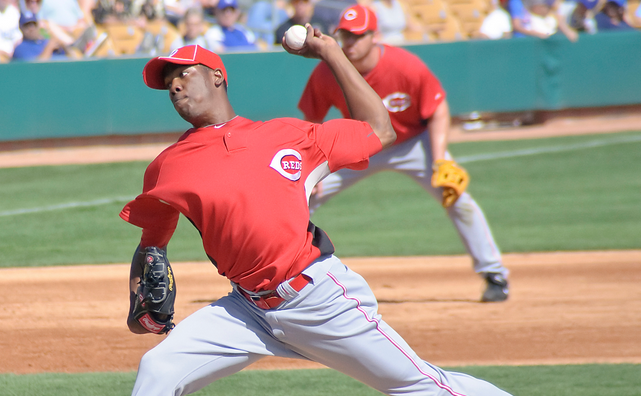 Below is a photo of Chapman in more normal arm-sized times.